Welcome to Byrdie UK's Wellness Week. Over the next seven days, you'll get to read pieces about making your life more balanced. From the best tech to improve your health to the small tweaks anyone can do to bring you more happiness, we've thought about everything you might want to embrace more wellness in your life. Today, we're talking about meditation and how it can make you more calm and grounded. Chakra meditation is on the rise—a surprising number of people search for it each month on Google. Interestingly, it gets the most searches in Australia, followed by Canada and India. But the UK closely follows the U.S. as the fifth most popular place for an interest in chakra meditation. So what on earth is it? And what can it do for you that other forms of meditation can’t? For starters, you need to know the chakra basics (which you can read about here). Then come back and see how you can use your chakras to boost concentration, beat stress and increase energy levels. We called on Emmy Lou Knowles, a healer and an intuitive life coach, to share her step-by-step guide to chakra meditation. Keep scrolling to find out how to tap into your chakras at home. 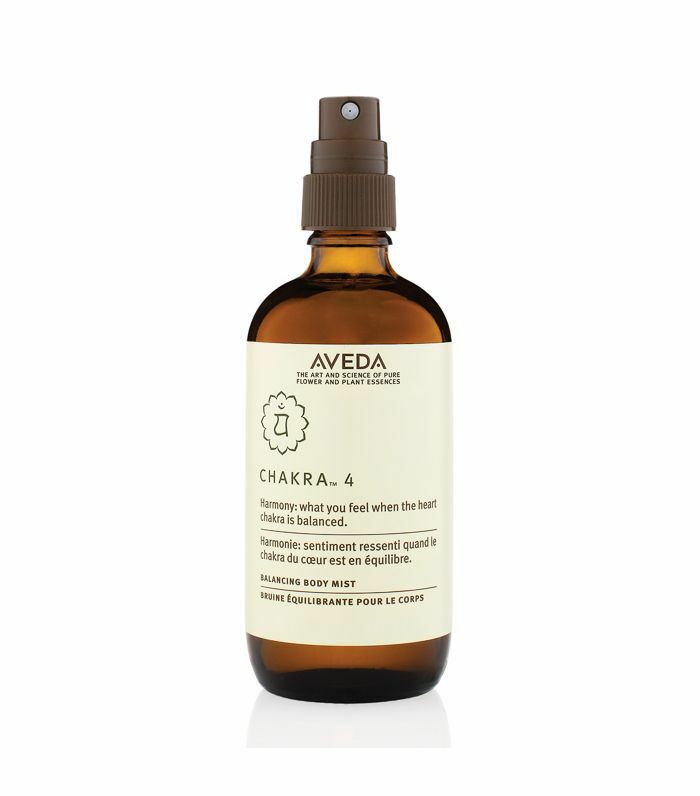 For starters, to perform chakra meditation, it helps to have an understanding of what chakras are. “They are power points of energy on the surface of our body,” explains Knowles. “These points spin like vortexes, pulling the outer or ‘universal’ energies to our most inner points, in order to align, balance and ease the physical, metaphysical and mental systems in and around the body.” Medical aesthetician and spiritual healer Mashell Tabe revealed to us exactly what the chakras are and where they are positioned on the body. Balanced: You commune with divine oneness and receive an understanding of who you are and the mystery of the universe. Balanced: You express and share your truth and inspiration. Balanced: You bring forth your spirits essence into existence. Love is all we are. It’s in our inherent nature. Love holds the source of divine wisdom. Imbalanced: We lose sight of beauty, empathy, love and compassion for others and ourselves. Balanced: You have inner strength, strong instincts and gut feelings. Balanced: The ultimate union of body, soul and the divine occurs. Balanced: You feel safe and function in this world. “With chakra meditation, you are actively participating with your whole body, exploring its layers on a healing level and witnessing the effects of thoughts and feelings,” explains Knowles. “It’s a very personal practice, but I would say you should expect a sense of contentment, peace and heightened charges of energy. You should sleep better and have a greater connection to your sense of self. So how does one perform a chakra meditation? “It really depends on the person and meditation changes with each sitting,” says Knowles. “If you’re a visual person, I would suggest using the colours associated with each chakra as a focal point. For others, it’s easier to place a hand at each point to understand how they feel and to focus the attention on these points whilst guiding through the meditation. “Remember that mediation does not necessarily require closed eyes, this is used as a means to soften the mind and help you focus, but take for example candle mediation. You would sit open-eyed watching the flame throughout, closing the eyes at the end of the practice. So you could have a visual cue of the chakra points before you and as you focus on each point on the visual align it to the point on your own body working from the root to the crown. Once you reach the crown, I would recommend closing your eyes. “If audio is more your forte, guided chakra meditations are blissful, and they often indicate to the positioning and colour of each not just the name, so you can use visualisation as you move through the meditation,” explains Knowles. As with any meditation, you can perform it daily or weekly, aim for around 20 minutes each time. 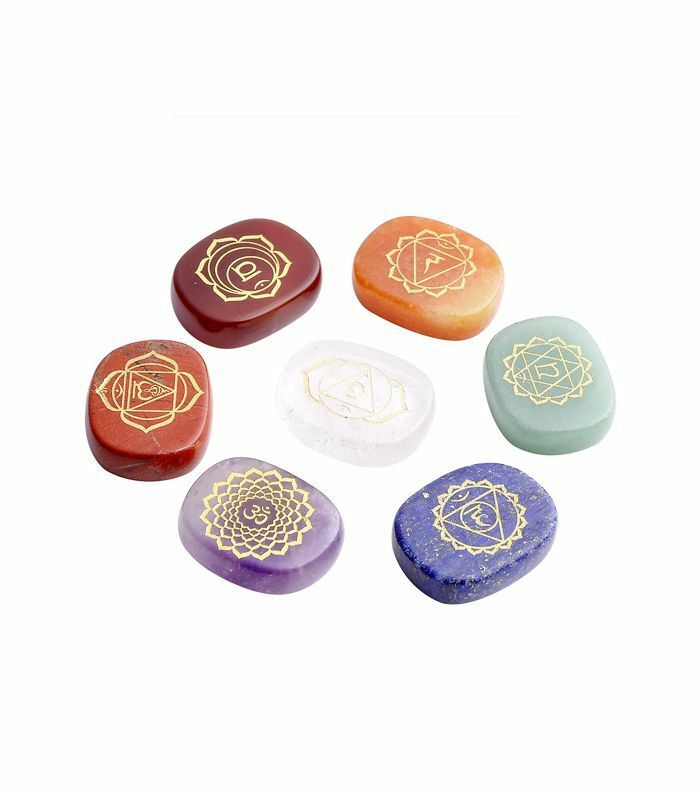 “There are two types of chakra meditation I would recommend,” says Knowles. Sit on the floor (my preferred position) or lie flat, and start focusing on your breath. “Close your eyes to pull your attention within,” she tells us. “I would then bring your attention (in your mind’s eye) to the first chakra point: the base, which is your connection to the earth. I would ask that this be shown to me in whichever way is best for me (or you! ), be it the colour we are taught is associated with it, be it a symbol or a word. “Then I would start to focus on the chakra itself—visualise a wheel spinning; watch the direction of its flow, breathing into the light, the shape, the space, just observing and trusting. Watch as your breath expands the light—the brightness of the chakra. (This is the cleansing; the brighter and more vivid, the better. The mind will try to tell you it is not working but it is.) Now start to visualise it spinning in a clockwise direction; feel its warmth or coolness. Every breath sent with the intention to expand and cleanse is a powerful source. “Now you move up and repeat at each point, working your way up and up. There is no rush—each chakra is individual. Remember that some will require more love on different days. As you reach your crown chakra, allow yourself in your mind’s eye to step back and witness your whole body. Scan the whole body—is everything open and aligned? Breathe into every point, and then allow your breath to move from the crown chakra right through to the base and back up again; this feels delicious, as here you have found your flow. “The second option is ideal if you want to focus on a specific area that correlates with where you wish to focus emotionally,” she shares. To find out more about Emmy Lou Knowles, or to book a session, visit her website, YourEmmyLou.com. 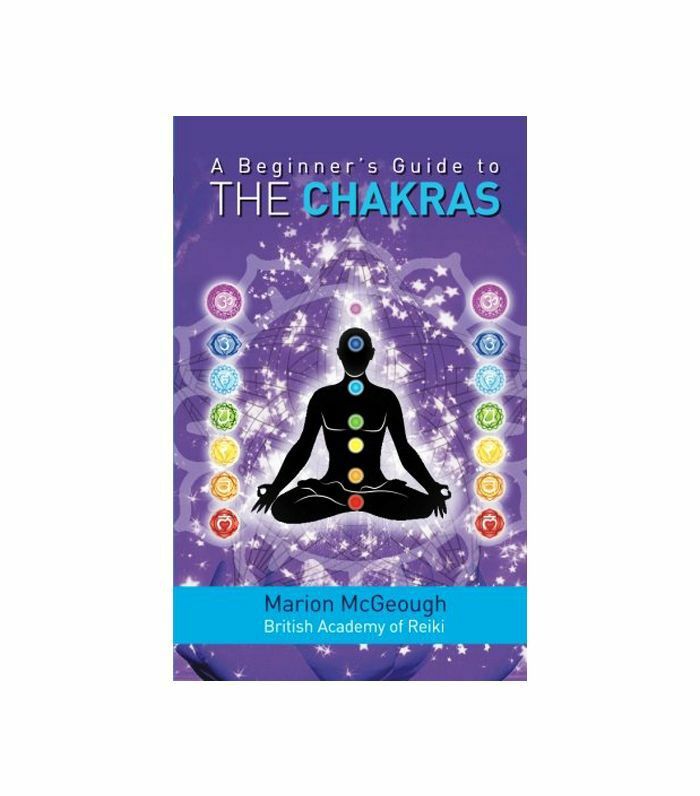 Keep scrolling to shop chakra books and meditation aids. Next up, master how to do a headstand once and for all.